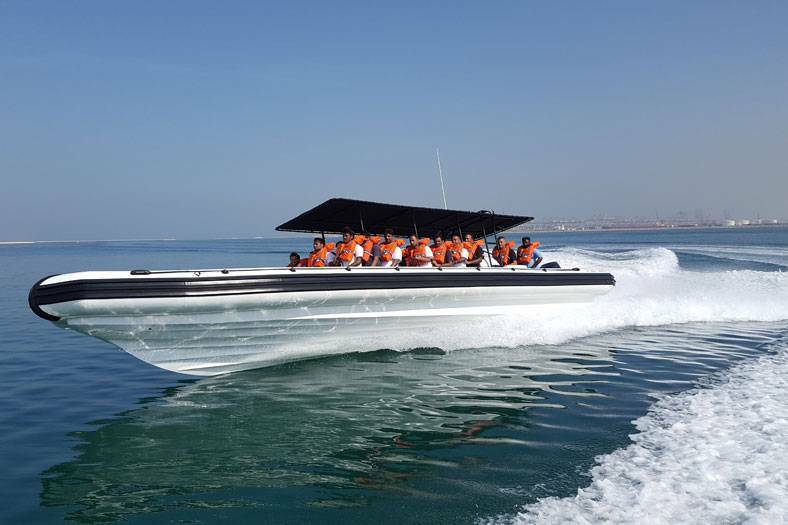 Rigid Inflatable Boat (RIB) builder ASIS Boats has built and delivered the first of a fleet of 12-meter all weather passenger transport professional RIBs. The intended use of these RIB Boats will be to transport safely up to 23 passengers from main land to islands, daily and continuously, under any weather conditions. With 450-liter under deck stainless steel fuel tanks and powered by twin 250-horsepower Suzuki four stroke outboard engines, this semi-rigid transport RIB can reach speeds of up to 43 knots and speeds of 40 knots with all 23 passengers on board, enabling the operator to do more runs and transport the passengers in less time than normally needed. This category “B” offshore RIB, has been certified by TASNEEF Maritime Services (TMS) to carry 23 passengers. In addition to the passenger seats, a large space greater than 3 meters is available at the bow for carrying cargo. 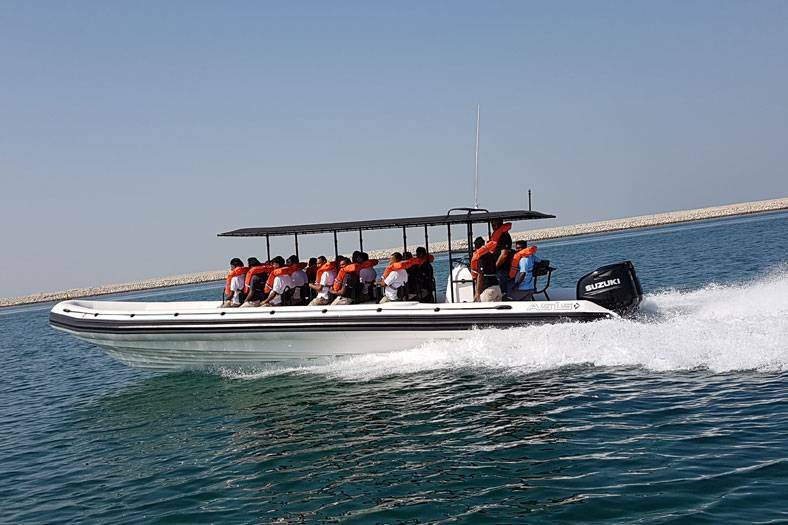 The passenger/personnel transport RIB features a heavy-duty stainless steel canopy covering all the passengers along with the pilot and copilot. 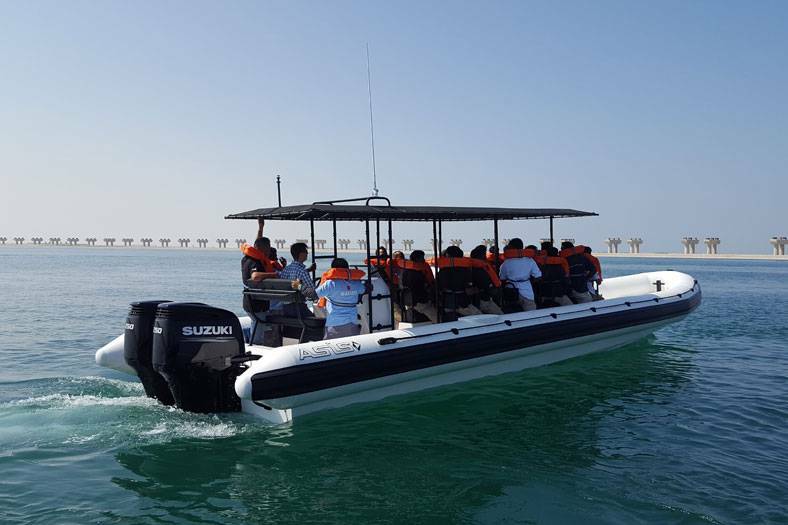 The vessel is equipped with navigation and communication equipment such as the Garmin VHF radio and the Garmin GPS map 527 XS, along with a standard magnetic compass.